Dear Shawsheen Tech Parents/Guardians: The purpose of this letter is threefold. First, to let you know of the new eligibility guidelines for students to be eligible to receive free and reduced breakfast and lunch. Many students are eligible due to changing income standards, and we have undertaken significant efforts to ensure those who do qualify remain confidential. Second, to explain the advantages of enrolling your child in a prepayment program ensuring funds intended for meals are spent on meals. And third, to describe our cafeteria computerized system that requires each student to provide a preassigned Personal Identification Number (PIN) to cafeteria employees prior to acquiring their nutritious meals. We can share this information with parents to ensure students are receiving the nutrition they need to be successful. All parents should fill out a Free and Reduced Breakfast and Lunch Application and return it to the Mr. Robert Roach, Director of Food Services. This form should be completed whether or not you think you are eligible for the free and reduced breakfast and lunch program , by September 7, 2018. If your child qualifies for free or reduced lunch, they will also qualify for our free and reduced breakfast program. Information on these forms will be confidential and are needed for two purposes: first to determine eligibility for free and reduced lunch and second, as a basis to determine the amount of state and federal education aid our school district receives. 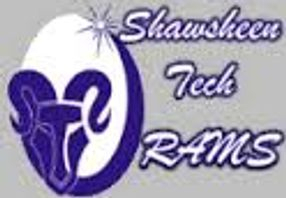 Therefore, filling out these forms and returning them in a timely manner has a significant impact on all of the programs offered at Shawsheen Tech. Your cooperation is respectfully requested. Prepayment eliminates time-consuming cash-and-change transactions. The procedure is simple. Each student enters his or her PIN number located on each student’s schedule using a PIN pad at the cafeteria register. The price of the lunch or snack is quickly deducted from the account balance, and the student moves quickly out of line. To ensure confidentiality, students who qualify for free/reduced breakfast and lunch also enter their PIN number at the register and, like all other students, proceed without delay through the food line. The Shawsheen administration, faculty, and staff look forward to developing sound minds within nutritionally sound bodies this year. Your cooperation with completing and returning the attachments is very much appreciated.